The battle for President-elect Donald Trump's secretary of state continues to get more interesting as David Petraeus appears to have joined the list of candidates. The retired four-star general is set to meet with Trump in New York on Monday. 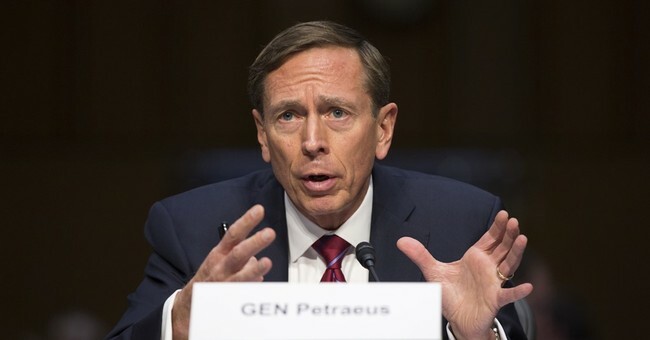 Petraeus, a former CIA director, led operations in both Afghanistan and Iraq. Yet, he is perhaps more well known for the controversy he found himself in shortly after the 2012 presidential election. Reports surfaced that he not only had an extramarital affair with reporter Paula Broadwell, but he shared classified intel with her. As punishment, he was placed on two years' probation and forced to pay a $100,000 fine. Petraeus's main competitors for secretary of state would have to be Mitt Romney and Rudy Giuliani. Several people, including people in Trump's own inner circle, have spoken out against a potential Romney appointment. Mike Huckabee said it would be an "insult" to Trump's supporters because Romney had been so opposed to Trump's nomination. While Giuliani was a staunch Trump supporter throughout the campaign, Romney dedicated a whole speech demonizing Trump's character ahead of the Utah primary. If Romney has any hope of being named to Trump's cabinet, he needs to issue a public apology, Huckabee insisted. Trump campaign manager Kellyanne Conway echoed Gingrich's concern, arguing it would be a betrayal to Trump voters. Despite the wariness from his own advisors, Trump is meeting with Romney again on Tuesday. If Petraeus upsets the field and wins the title for secretary of state, he will still be on criminal probation for the first few months.